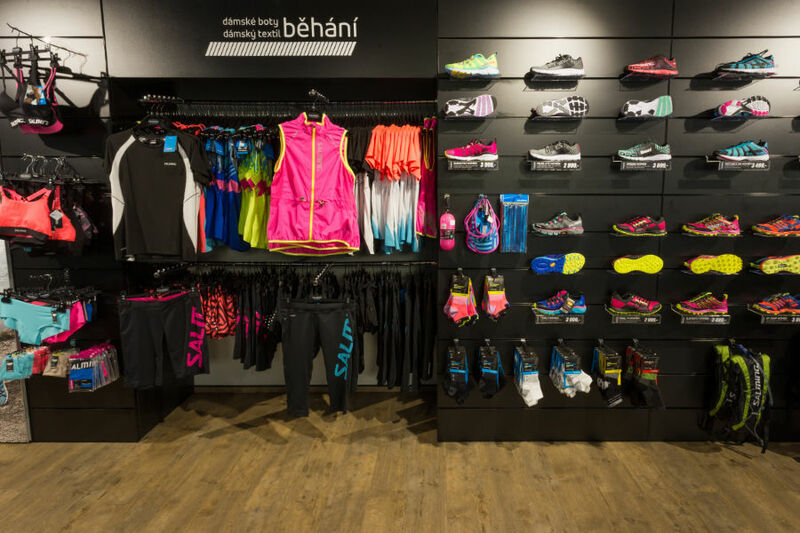 Salming Praha Pankrác is the Concept Store of the swedish sports brand Salming. 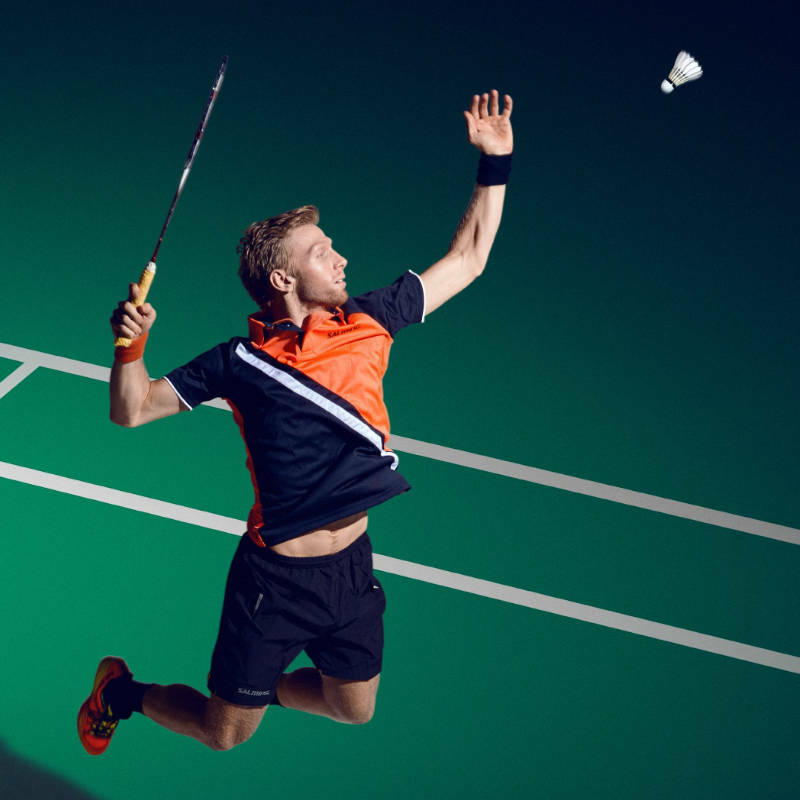 You can find in there all possibly brand products for running, floorball, ice-hockey, handball, squash, badminton and volleyball. 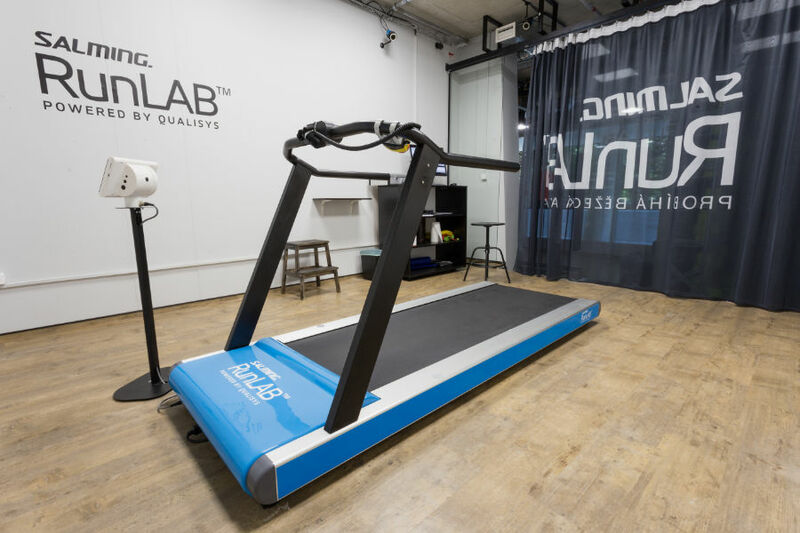 Also you can find in there the unique 3D running analysis Salming RunLAB. old conference center and next to the Central Group building and the shopping center Arkády Pankrác. The location of our CONCEPT STORE is ideally suited for public transport. Your best choice is to use the Prague metro line C (red) and get off at PANKRÁC. From the exit of the stop there are two ways to our shop. The first route goes straight through the shopping center Arkády Pankrác. Look for perfumery Douglas. 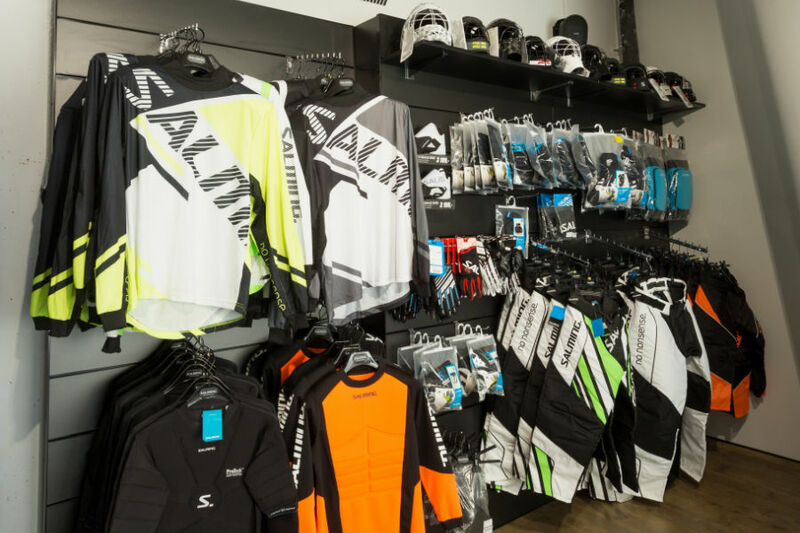 Right next to it, there is a side exit from the shopping center, from which it is now just straight ahead and after 50m you will arrive under the big SALMING logo directly over the entrance of our shop. The second way is to go directly to the front of the main entrance to the shopping center Arkády Pankrác. In this case, you will look for the tallest building in the surrounding area, labelled Central Group company. 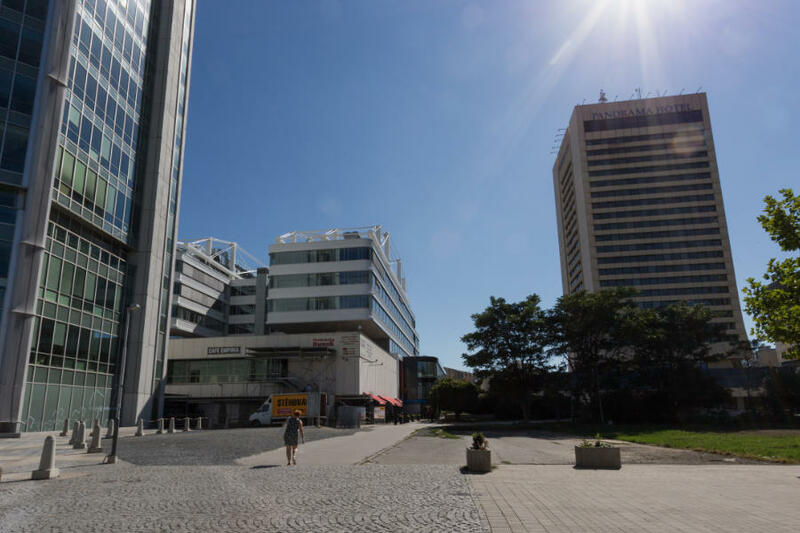 First you will go through the path that leads between the shopping center Arkády and this tallest building and just behind the building you go to your left. After about 50m then enter under the big SALMING logo . This option is excellent if you are traveling by bus. 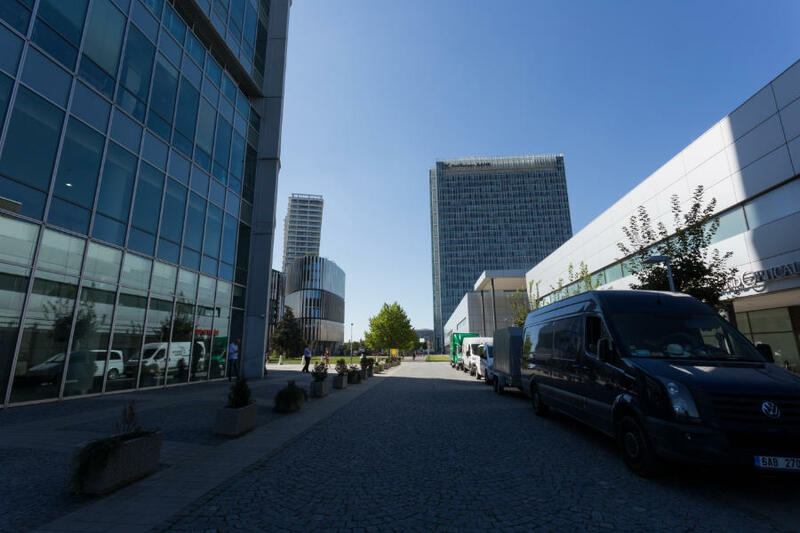 In case you decide to travel our own car, it is absolutely the best the option to park it in the shopping center Arkády Pankrác. Two hours of parking are in it free of charge and from 17:00 in the evening you can park without restrictions. After leaving the garage, look for perfumery Douglas. 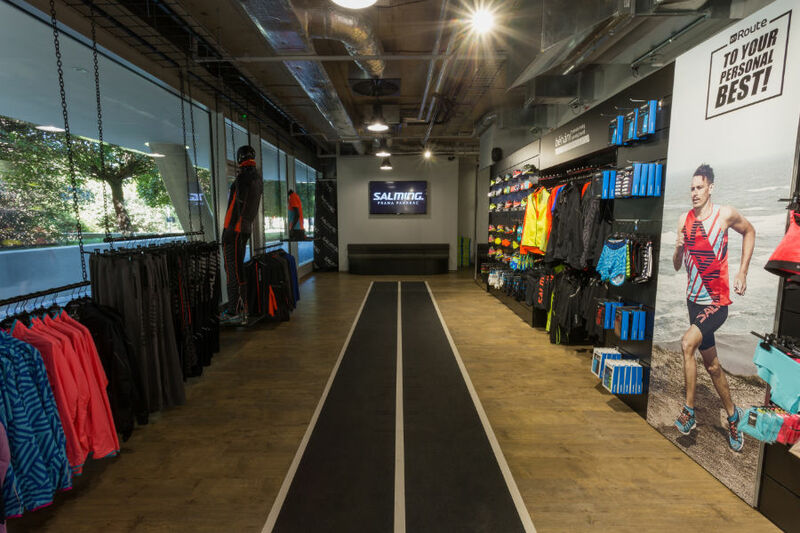 Right next to it, there is a side exit from the shopping center, from which it is now just straight ahead and after 50m you will arrive under the big SALMING logo directly over the entrance of our shop. 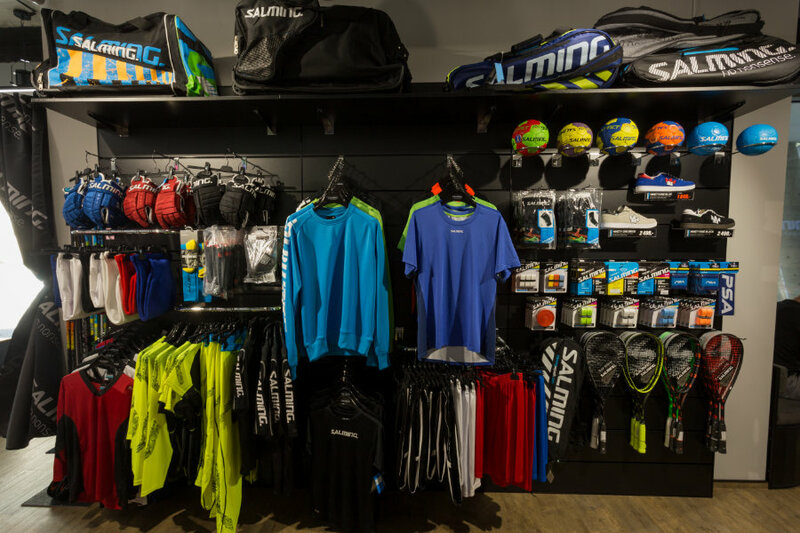 If you are looking for a Salming product, there is no better place to go. In our shop you will find a wide range of products in all sizes and colors. Of course there is quality advice and the ability to test the products. And what do we offer? 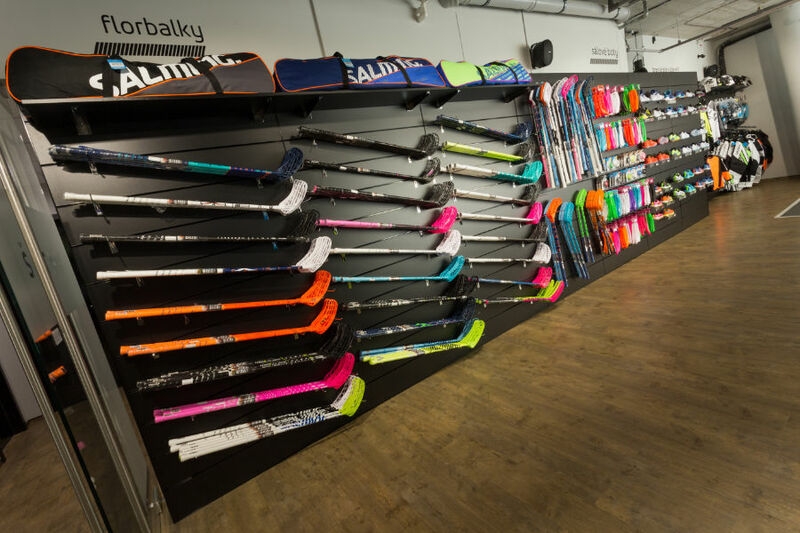 In our shop you will find a complete offer of current floorball collection of our brand and couple special bits that are offered exclusively in our shop. 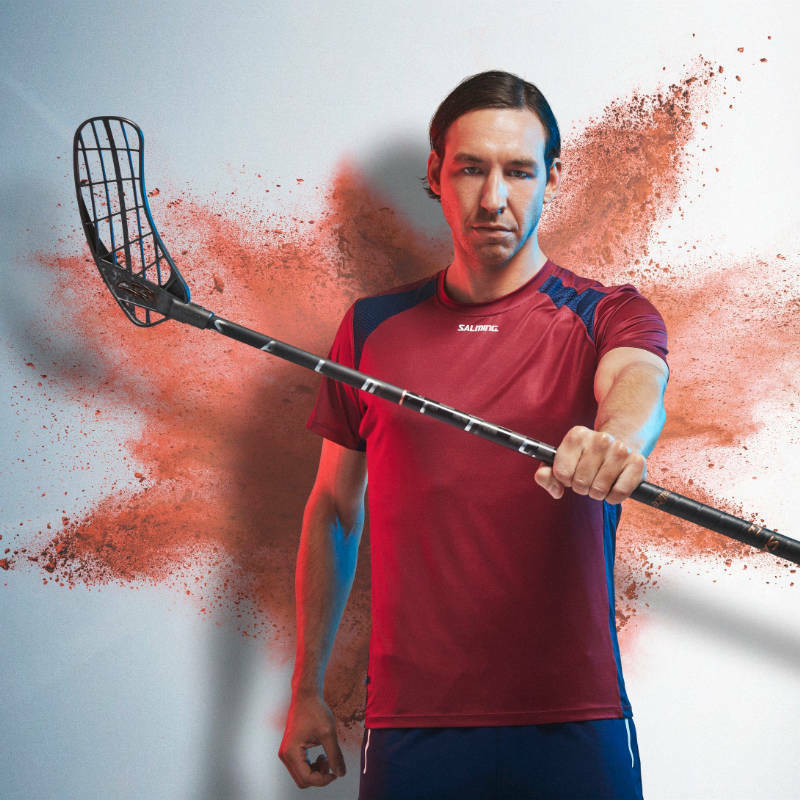 Floorball sticks in all available variants, all accessories, but also a complete range of goalie equipment. 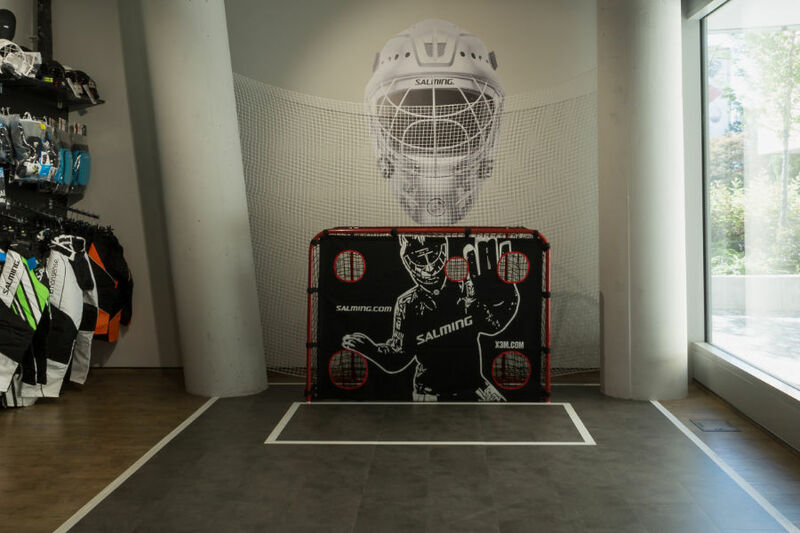 Floorball sticks and goalie equipment you can test unlimited within our test ground. 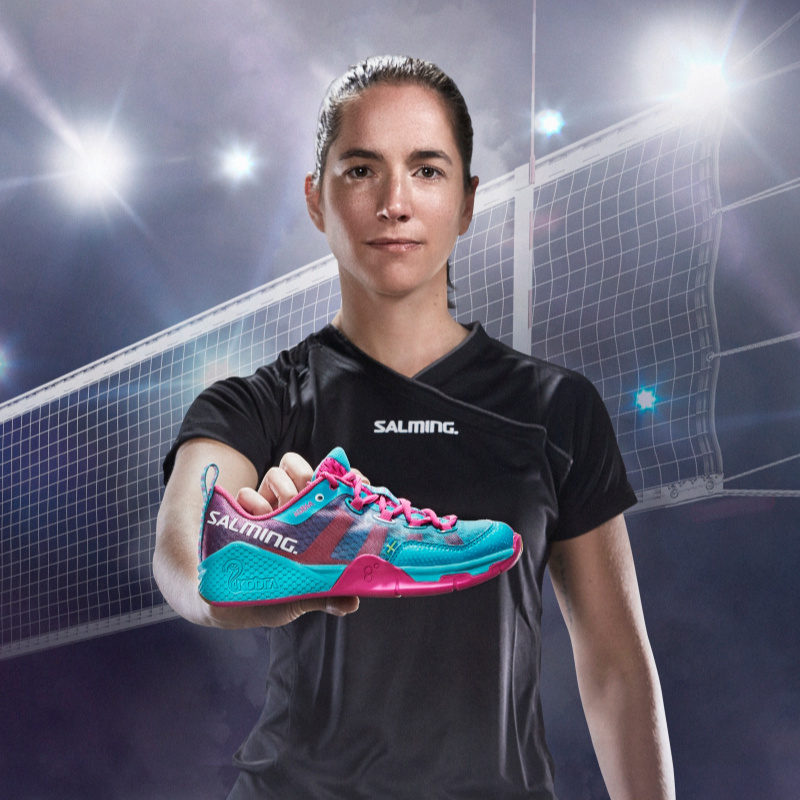 If you looking to buy new Salming indoor shoes, there's no better place to go. All models and their variations are available in all sizes. 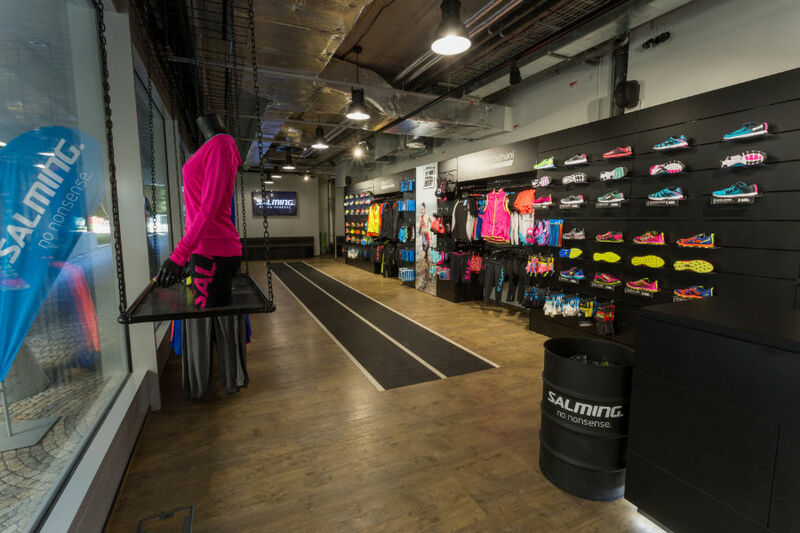 The Salming Concept Store is the only place to find a complete range of our current models of running shoes and running textiles in the widest possible availability of sizes and variants. Of course, we have the ability to test running shoes on our test track. 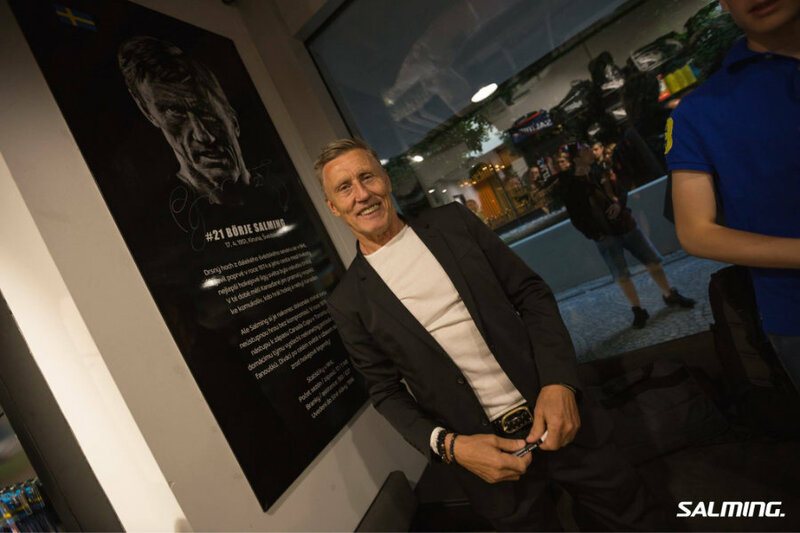 Salming is not just running or floorball. 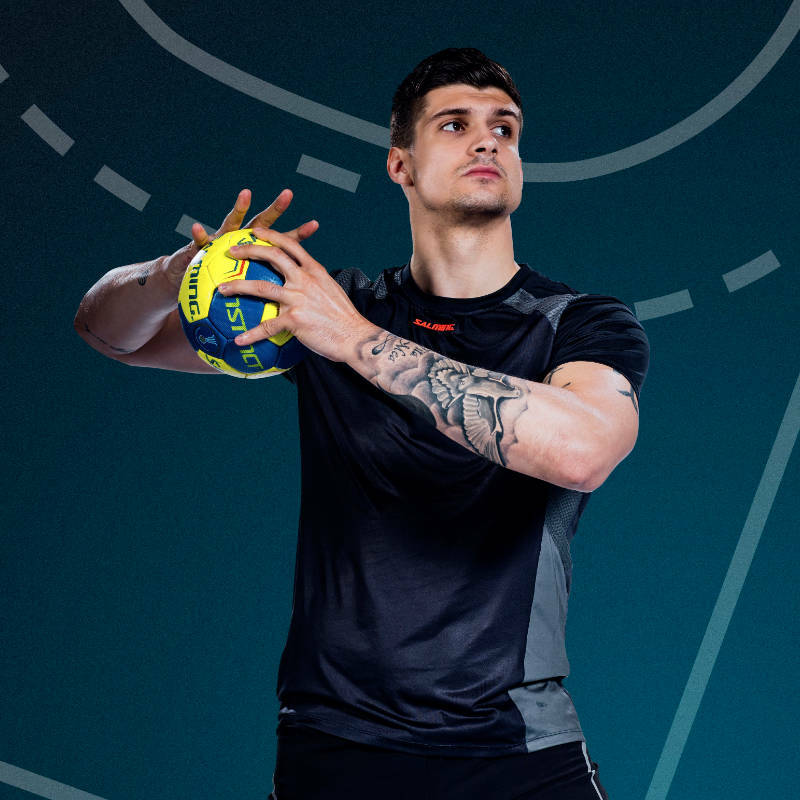 You can find also quality squash racket, handball balls or ice-hockey sticks and gloves in our store. Side of the shopping area you can find the room which we use as a running laboratory. 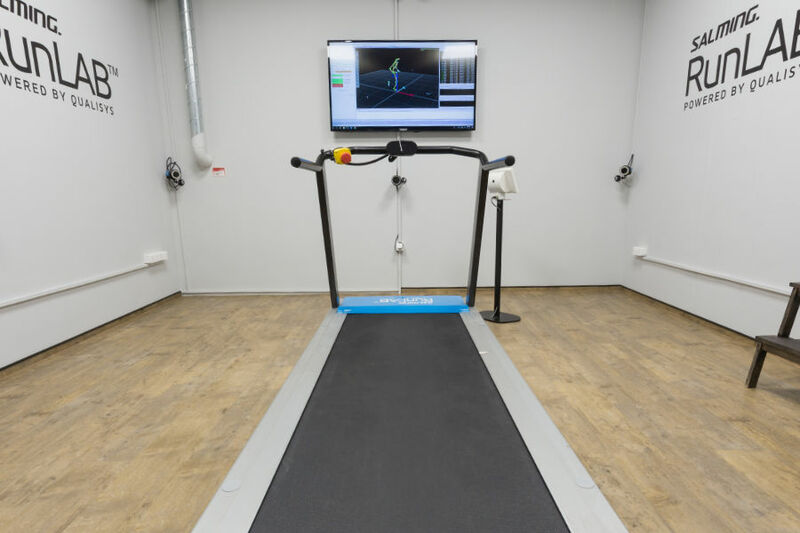 There is our special 3D Running Analysis Salming RunLAB, and we use this room also for performance tests and for consultations of running pains with a doctor. 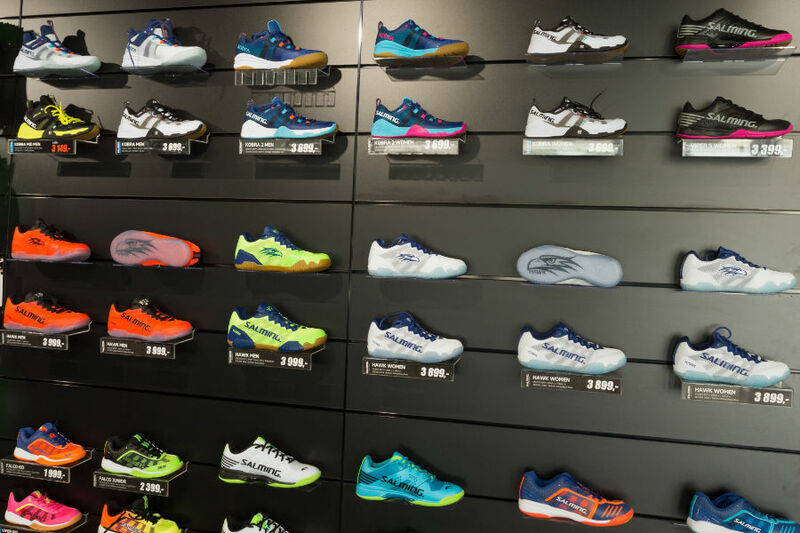 For our customers, we have also prepared quality facilities within the store. 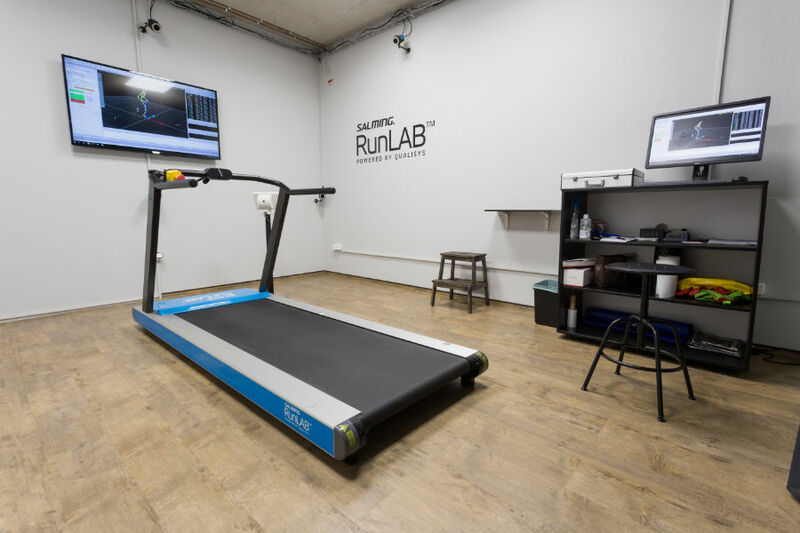 A locker room with lockable cupboards and showers can be used by all those who come to join us for running trainings or all running diagnostics.